Mommy Wars is a timeless look at motherhood in America, told through 26 diverse, tell-all essays. Although much has changed in American motherhood since Mommy Wars’ 2006 debut, the frustrations and joys remain constant. As does the book’s conclusion that the only true “war” is the one raging in women’s heads. A few months ago, I celebrated a friend’s surprise 40th birthday party at The Sulgrave Club, an elegant old mansion in downtown Washington, DC. Dressed in a vintage black cocktail dress from my mother-in-law’s party girl days and grosgrain heels that bent my toes like wire coat hangers, I stood chatting with a neighbor, a mom like me who works part-time in newspaper and magazine publishing. I told her about my idea for a book exploring the tension and confusion between working moms and stay-at-home moms today. My cheeks flushed like a child with fever. Fortunately, the guest of honor turned on the microphone and started thanking her husband for the party, so I didn’t have to disguise my response. This woman felt sorry for me? For all the moms at our school who work to support their families, to show their kids that women can work, who work to change the world, who work to keep their sanity? My reporter friend was watching me closely. That is why I created this book, and how I got a great title in the process. Motherhood in America is fraught with defensiveness, infighting, ignorance and judgment about what’s best for kids, family and women–a true catfight among women who’d be far better off if we accepted and supported all good, if disparate, mothering choices. For years, I struggled to end my own personal catfight over career and family balance–and I tussled mightily to stop myself from disparaging other women’s different solutions. I still struggle. Along the way, I’ve perplexedly watched working women transmogrify into happy (and not so happy) stay-at-home moms, and seen others continue doggedly working, some happily and others with deepening resentment and anger over the drudgery and missed opportunities both at home and at work. Nearly every week, someone tells me how lucky I am–that I have the best of working and stay-at-home motherhood. Until 2:30 every day, I’m a working mom in the advertising department of The Washington Post. Then I tear down the office stairs (late, always late), speed walk home, rip off my Tahari suit and pantyhose, and pull on yoga pants and my Merrill Jungle Slides just in time to grab our two year old and pick up the older kids from school. But the truth is I feel like a hybrid–neither working mom nor true stay-at-home mom. I don’t understand moms who find happiness staying home all the time, without work and their own incomes (however large or small). I can’t fathom why some working moms stay stuck in too-demanding jobs or careers that they openly resent because of the quality (and quantity) time they miss with their kids. But what I know for certain, because I see it almost every day from each side of the battlefield, is that the two groups misunderstand and envy each other in the corrosive, fake-smiling way we women have perfected over the eons. How can some moms stay home? Why is it that others, like me, so clearly cannot? Do we all fight our own private catfight about whether to work or stay at home? Does that explain why we’re so bitchy to women who’ve made different choices? My confusion and curiosity about other moms’ lives is what led me to create this book. I needed to hear from happy stay-at-home mothers and hard-driving career moms about what life is truly like for them. To bridge the gap between working mom fantasies and fears about stay-at-home lives (and vice versa) twenty-six wonderful writers have laid out, step by step, how they’ve made their choices and why the decisions are right (or not so right) for them, their children, their husbands, the world. I found it provocative, in the best sense of the word, to juxtapose the stay-at-home mom elucidations with the working mom ones, and to mix in a few hybrid part-timers like myself. In order to end this catfight and emerge united, we need to explain ourselves to each other. Very much of the debate in the United States about the benefits of working vs. stay-at-home motherhood has been taken over by experts: researchers, academics, politicians, journalists. Many of them aren’t women. Many aren’t even parents. The most authoritative (and fascinating) answers come from the moms themselves. So let’s hear from them. I wrote Mommy Wars to get moms talking about the real issues of working and at-home motherhood — to set straight the myths and misconceptions created by advertising, politicians, and statistics about the so-called war between mothers who work and those who stay home with children. All moms know that motherhood is the hardest “job” we’ve ever tackled. The most difficult battle rages inside each mother’s head, as we struggle to feel at peace with our own unique and wonderful approach to parenthood. In a world filled with messages about everything moms supposedly do wrong, we need to focus instead on how much we are all doing right as we seek to balance working and raising children. I could have filled this book by flagging down the first 26 minivans driving by my house, because every mom has an inspiring story about how and why she combines (or chooses not to combine) paid work and motherhood. I hope the stories in Mommy Wars make you laugh, cry, and throw the book across the room at least once. We’ve got 26 fiery women here, ranging in age from 25 to 72, and spread across the country from New Hampshire to California. This diversity is critical — only through understanding different moms’ lives can we learn to respect all good, if disparate, brands of motherhood. I myself have three young children and a mostly-wonderful husband. Over the past decade I’ve worked full-time, part-time, and not at all. I’ve struggled to find my own work-family balance — and I still struggle. What has helped me along the way is the advice, comfort and support of other moms, including the women in Mommy Wars. There are no easy answers. However, thanks to you, I am not alone in my struggle to balance work and family. There are millions of women in America keeping me company as I fight my internal mommy war, and very good company you are. "A smart, balanced view of this hot-button topic." "Ambition and attachment do battle in a book of fiercely honest essays...that has the ring of truth." "Ever wondered why women waste so much energy judging other women? Here is a collection of terrific essays, full of distilled female wisdom, that tell it like it is. I can’t think of a mother who wouldn’t enjoy this book." "Mommy Wars puts real women's voices to animate what is often a frenzied but ill-informed debate -- thus bringing the texture, warmth, hope and angst of real mommies -- and real wars -- to the table. Challenging and refreshing!" "It's never been an easy decision -- home or work -- and I've done both. Mommy Wars supports all our choices as moms and proves that love for our children guides us all." "When women make their real voices heard – as they do in this remarkable book – they make the truth more fascinating than any work of fiction. Mommy Wars is bound to become a classic, read and discussed for years to come." "Mommy Wars is a riveting page turner that brings into sharp focus the issues which tear apart all mothers today. If you read any new book this season, let it be Mommy Wars." 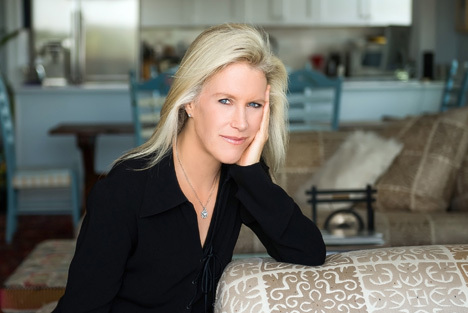 "Great Debate - In the new anthology Mommy Wars (Random House) edited by Leslie Morgan Steiner, 26 moms, including novelists Susan Cheever and Jane Smiley, write candidly about working vs. at-home motherhood. Advance buzz: It's a smart, balanced view of this hot-button topic." Child Magazine, What's Hot Now! "Most of the women here, famous and otherwise, express a familiar guilt along with pride at how they make peace with their choices juggling motherhood and career. Some, like Harvard MBA Ann Misiaszek Sarnoff, have pursued a high-octane job while raising two kids; others have scaled back work or work at home in order to be with their kids all day. These mommies (most are upper-middle-class white mothers who've made careers out of writing in some form) almost without exception have solid, provider husbands, and nannies or full-time babysitters. Moms in similar situations stand to gain the most from the collection and will relish such gems as novelist Jane Smiley's "Feminism Meets the Free Market," where she notes, "Home was the refuge when the workplace drove us out," and PW editor-in-chief Sara Nelson's revelation, in "Working Mother, Not Guilty," that her career gives her 10-year-old "a sense that there's a whole world outside of our little family." Washington Post advertising director Steiner offers a valuable opportunity for discussing women's "inner catfight." In lieu of mud-slinging, she presents a reasonable and low-key forum for mutual understanding and respect." 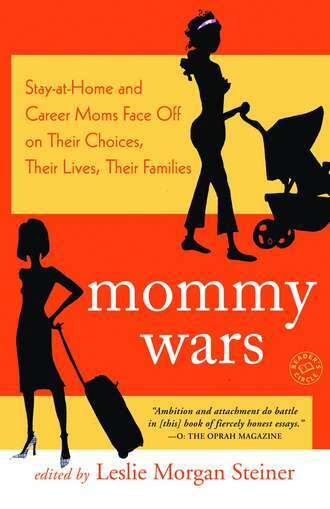 AWWF-sanctioned smack-down is promised by the title of Mommy Wars: Stay-at-Home and Career Moms Face Off on Their Choices, Their Lives, Their Families (Random House), a collection of 26 essays gathered and introduced by writer and editor Leslie Morgan Steiner. But the book doesn't deliver--and that's a good thing, because only clownish culture warriors can possibly believe anymore that One Best Way exists for America's mothers to arrange their lives. Indeed, though written by a cozy coven of well-to-do, even celebrated media types, these nuanced self-analyses yield a rich variety of lives against which women can gauge their own struggle to find that elusive dynamic equilibrium between work and family. On the evidence here, fairly few end up where they expected or intended. A bad run at work or a child with special needs may be a doorway to unlooked-for domestic tranquillity; more often, the ebb and flow of family circumstance dictates a converse lightening or renewal of career commitments. But the backgrounding of husbands in most of these renderings of home life suggest that women will win real equality only when men come to interrogate themselves, and the culture, about how to achieve a similar balance in their own lives. Why did you write Mommy Wars? Whether you work or stay at home after having kids has become one of the defining issues of our generation for college-educated American women today. For me, as a working mom with three kids, I was curious about – and sometimes jealous of – moms who decided to stay home. So I asked 26 REAL experts on motherhood – MOMS -- to explain what life is REALLY like for working and stay-at-home mothers today. My hope was that by explaining our lives to each other, we'd all feel better about our unique approaches to motherhood. How did you find writers? I could have flagged down the first 26 minivans driving by my house -- because every mom has a great story about work and family. I found moms everywhere – at work, on the playground, through friends. Some are famous – like Jane Smiley, Susan Cheever and Iris Krasnow. Others have literally never published anything. All 26 are regular moms – who happen to also be beautiful writers. Is the tension between working and at-home moms real or imagined? Why is there so much conflict between women who ostensibly have a great deal in common? The “mommy wars” are not a typical WAR where one side wins and the other loses. Women are not looking to defeat other women. We are looking to feel good about ourselves as mothers – which is a pathetically difficult task in the US today.The tension between working and at-home moms IS real. But the worst mommy war is the one that rages inside each mom’s head as she struggles to feel good about being a mom -- no matter what her choices about work. This inner battle plays out on an external stage -- through judgments about other moms.Our society is conflicted, between the “selflessness” of motherhood and the very real need women have to provide for themselves and their families. Some critics complain that the "mommy wars" are a problem only among "privileged" women. Care to comment? This is an example of a problem I see among all women: we look for what divides us, instead of what we have in common. Although some of the 26 women in this collection are better educated and somewhat more economically stable than many other women, nearly twenty percent are non-white, offering a mix of African American, Pakistani and Latina voices in a book of only 26 contributors. Here are some of the women critcs disparage as privileged: Natalie Smith Parra, a Latina former welfare mom and immigrants rights activist in Los Angeles; Lila Leff, founder of the Umoja Student Development Corporation, a not-for-profit organization dedicated to helping at-risk Chicago youth; Veronica Chambers, who supports her extended African American family on her writing income alone; Jane Juska, a grandmother, teacher and prison literacy volunteer from Berkeley; plus the many stay-at-home moms in the book with $0s listed in their IRS income columns. The essays in Mommy Wars tackle universal problems of infertility, cancer, postpartum depression, abuse, financial hardship and lousy husbands. To dismiss the writers' honesty would be unfair and unwise, because this books tells us a lot about what motherhood in America is really like today. Where are men today in the "mommy wars"? Dads today are caught in a bind – they feel they are doing a lot, because they are more involved in their children’s lives than their dads were. But fathers are still doing far less than mothers are, in terms of household chores and childcare. Women have earned equality at work. But there’s a long way to go before women have true equality at home. What are the trends among younger moms? 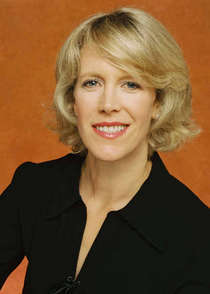 A good example is Mommy Wars writer Molly Jong-Fast, daughter of famed feminist writer Erica Jong. Molly became unexpectedly pregnant four years ago when she was 24 – and she was THRILLED instead of feeling like her life was ruined – which is what I would have felt if I’d gotten pregnant in my 20s.Many younger women (and girls) take today’s choices for granted -- they don’t have a chip on their shoulder about proving they can “have it all.” And that is wonderful. I and many other feminists worked extremely hard to achieve that kind of freedom for women. What kind of solutions do you see in the future? First: Happiest moms tend to be the ones who have time with their kids AND paid work – they work for companies and have partners that give them the flexibility and support they need to be good employees – and good moms.Second: We moms need each other –whether we work or not – and we’d be FAR better off if we supported all good mothering choices. We need to stand up for other moms, and stick up for ourselves. There are millions of moms in this country, and no book can capture all of their perspectives – just as there’s no work/​family formula that’s right for every mom.Motherhood should unite women, not divide us.It is a myth or at least an exaggeration that in the US today women have unlimited choices and complete freedom.Don’t blame women – we have too much finger pointing as it is – this is a societal problem – blaming women makes it worse.Even I’ve read every essay 50 times, I’m still surprised by their raw honesty and the emotional response the book elicits.Whether you stay at home or stay at your desk, you risk insanity when you become a mom, AND it’s TOTALLY worth it!